Our ServicesCommercial / RetailIndustrialRenewable Energy? 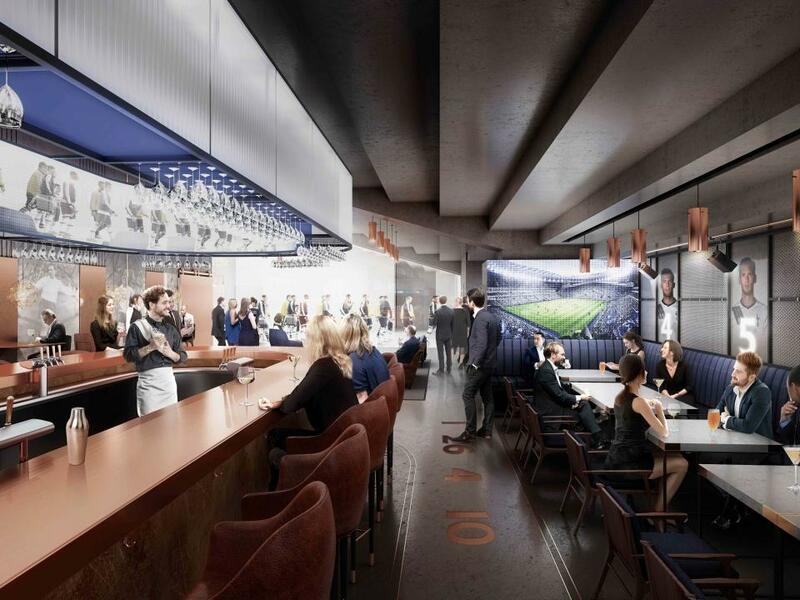 We are delighted to be awarded the Electrical Installation of the Island Bar at Tottenham Hotspur Football Club to commence immediately. Working for Portview; the Project included Design and Build for the Electrical Installation. We are in Hamburg, Germany starting the electrical lighting install for MADE.COM. Our first international project of 2019, couldn't be more exciting! Our electricians have been very busy at The O2 Arena last week with an electrical installation at Brooks Brothers. Work is almost complete and feeling positive for the week ahead! Following our electrical Work at Tommy Hilfiger we have returned to the O2 to install illuminated signage for Scotch & Soda. 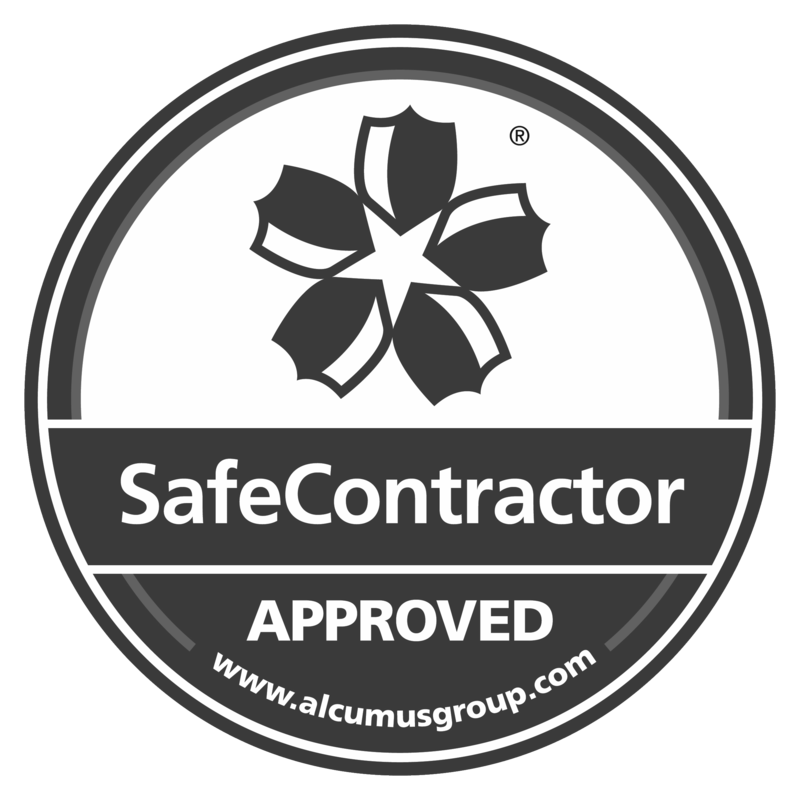 Great to be recommended from one client to another. We are delighted to announce our first international project of 2019. We will be undertaking the electrical install at MADE.COM’s furniture showroom in Hamburg Germany..
Congratulations CEF Sailsbury and Wayne Carter for winning our Above and Beyond award. Alwasy exceeding the expected. Great Job! Well Done!! Christmas jumperda y2018 at Maynards. Great effort all round with the Leeds office and some of our site teams joining the fun. More importantly we raised some money for Save the Children UK. Congratulations to Edmundson Brighton for winning our wholesaler of the year! Also David winning our superstar individual award. Great effort James and team! We are pleased to announce that we have completed the electrical install for Tommy Hilfiger at the O2 arena. Christmas Shopping anyone? Congratulations to Electric Center Southampton for winning Best Newcomer in our Wholesaler awards. The install to commemorate 100 years since the end of World War 1 gives an illuminated reminder of the men and women who gave their lives for us all. We are pleased to announce we will be undertaking another installation for Gymbox. Having completed 2 installs already we have been selected to complete the electrical install at the new Ealing site. We are over the moon to bring this design to life. So excited to see the public’s reaction on the opening night! Maynards are honoured to have completed the lighting installation at Evesham War Memorial to commemorate 100 years since the end of World War 1. We all enjoyed some tasty treats with this years Macmillan Coffee Morning! Raising money for a great cause, we all enjoy this Annual event... our waistlines not so much so!!! We are delighted to hear that the Alexandra Palace Mast where Maynards carried out Electrical works last October has been short listed for the National Lighting Awards! What great news! We would like to congratulate Fiona and Lawrence on their recent Marriage in Chichester! We all had a great time at their Wedding Reception, and wish them many years of health and happiness. Having completed the AA Head Office Fanum House at Basingstoke LED Lighting Refit, Maynards have been approved as a Preferred CBRE Supplier. Maynards are pleased to have completed the LED Lighting refit of the AA Head Office Building at Basingstoke on budget and 4 weeks ahead of programme. Having been awarded the Island Bar in June we have been awarded the Electrical Installation for the Longest Bar in the UK to commence immediately. Welcome to the Team Hugh & Sarah! We would like to welcome 2 new team members to Maynards- Hugh & Sarah. Hugh is working alongside Jason in our Estimating Department, and Sarah is delving into all things Admin orientated! We are delighted to of started Electrical works for Barlow Interiors. Our first completed project for them is a Bar refurbishment at Hotel Du Vin, Cambridge. Great work team! Our PPE is all ready to go out to staff as Maynards have been awarded another Electrical works Project at Tottenham Hotspur Football club. 11 weeks and worth £500k- Nice start to the New Year! Maynards enjoyed another Christmas Jumper day this year in the Office! The Knitwear Guru's got their needles out and this year we even had a Elf on a Shelf!! All together we raised £200 for Macmillan. Christmas has come early for the Warsash Wasps as Maynards continue with their sponsorship for the under 8's with these cosy new jackets- just in time for this cold weather! A New Acuitis Opticians Opens! This week we completed works on a brand new Acuitis opticians, their third to open in the UK, located within the Westgate shopping centre, a £440m development in the heart of Oxford city centre. Our energy saving works at Chichester University continue this week to the offices & lecture theatres of University House, via a 6-week programme of LED lighting upgrades in partnership with Ridge. Excellent team effort by all raising money again this year to help Macmillan be there for people facing cancer. Hats off to Christine, our valued baker! Lights on at Alexandra Palace! Our works at Alexandra Palace, to illuminate the iconic mast in celebration of the world's first broadcast of television, are complete. We're sure you'll all agree, the end result is stunning! Our most recent project is in Birmingham where we are installing a brand new Tiffany's jewelers concession within the Selfridges store. Maynards, in partnership with Ridge, have begun work at the University of Chichester, installing energy efficient intelligent lighting to the registry building & Pinewood House halls of residence. Maynards are pleased to welcome home Katie Waters, from a successful trip to the Marantha School in Ghana, where she helped with building improvements, as well as teaching Maths. Well done Katie! Congratulations to our director Jason and his partner Sharon who got married in Vegas! We wish them both a lifetime of happiness, from all of us at Maynards! Maynards, recognising the value of on-the-job training, and responding to our ever-changing manpower needs, are pleased to announce that we have just employed two electrical apprentices. Maynards are looking for a fulltime buyer, whose responsibilities will include purchasing of project materials & the managing of plant. Good organisational skills a must. Maynards have their endurance tested! Last weekend, Maynards' employees Tom, Paul & Jamie, enthusiastically accepted a challenge from R & B Star electrical wholesalers, to take part in a 2hr endurance karting race at Buckmore Park. We are recruiting for electrical labour teams/pairs to work alongside new projects starting in the retail and commercial sector across the UK. Send your CV to fiona.barrett@maynards.co today! Everyone at Maynards would like to congratulate employees Fiona & Lawrence on their recent engagement in Tenerife. Congratulations! Maynards are pleased to announce a new collaboration with ITS Interiors, in the D&B fit out of Optoma Projectors' new head office and warehouse facility on the outskirts of Hemel Hempstead. We are excited to be working for such a prestigious client such as Mercedes AMG Petronas Formula 1 team, installing their Building Management System for their Formula 1 car test rig. Absolutely amazing dedication today! All helping to achieve the 1000 mile challenge to raise funds and awareness for Oscar! Works began with Portview for a new Nespresso Coffee Outlet. We are delighted to announce that work has begun at The Oracle Centre in Reading for a Nespresso Coffee Retail Outlet. All of us at Maynards are delighted to announce the safe arrival of Greg & Gemma's baby boy over the Easter Break! Works commencing at Gymbox Greencoat Victoria, London. We are delighted to of started work at Gymbox Greencoat Victoria -a large job involving a whole electrical refurbishment, another fantastic Gymbox project added to our growing collection! Another excellent feedback response from one of our smaller works, well done team! The Easter Bunny has returned this year to Maynards with a bunch of chocolatey gifts to be sent out to our clients! We're delighted to share that our Electrical works at Lush Corporate Offices, Beak Street London is complete. Another great project completed by Maynards working with Portview! Next week we commence work on a new project at RAF Brize Norton. This consists of providing a BMS system extension for the new A400M Airbus Hanger Building. Fiona has organised an event to raise money for one of our Electricians sons who has been diagnosed with Spinal Muscular Atrophy. SMA is a rare and life limiting genetic disorder. All of us at Maynards are delighted to announce the safe arrival of Rhys & Ashleigh's baby girl over the weekend! We can't wait to meet her! Next week we begin the first of what we hope will be many lighting upgrades for the Royal Botanic Gardens at Kew. We are installing a new LED lighting upgrade throughout the public gardens. We have recently started work at Her Majesty’s Treasury in London, home to over 5,500 civil servants. We are aiding the facilities management team in improving the buildings lighting. Saints through to the Final at Wembley! Southampton are our home town and we have several season ticket holders among the staff who regularly go to St. Mary’s to watch the games and who are very excited about their team’s achievement! Maynards welcome Chris Shepherd. Chris has worked in the electrical contracting industry for 25 years, with experience in commercial, retail and light industrial sectors. We have recently completed a £310,000 project over 5 months, refurbishing office lighting and performing an electrical mains upgrade at the British and American Tobacco offices in Southampton. 2017 is off with a flying start! We hope you all had a great Christmas and are enjoying the New Year! We are back in full steam at the office, watch this space for news on new jobs Maynards are getting involved in! The management and staff at Maynards would like to wish everyone whom we have worked with or for in 2016 a very merry Christmas & a prosperous & happy new year. Here's to doing it all again in 2017! Maynards are actively recruiting for a Full Time Experienced Project Manager / Site Engineer, an Administration Assistant, and an Office Junior! Click Read More! The tree is up, Christmas jumpers are being purchased and Secret Santa's on our staffs minds.... It appears Christmas is coming to Maynards! This morning we are all celebrating Nick's birthday, which was on Saturday, with some lovely homemade cupcakes made by our in-house Cake Master, Christine! Happy Birthday Nick! We are proud to announce we've recently completed works on our 2nd Central London Gymbox Studio Project. Working with DDI on one of Gymbox's Flagship stores was a great project to be a part of. We have now completed works at The Barber Shop, Fortnum and Mason, and we are delighted with the finished project. One of our Electrician's daughters is fundraising her trip to Ghana to continue development of school building & do some teaching through the World Challenge Project Ghana expedition. We're delighted to announce appointment of new member of staff to join our busy expanding team, Danny Baldwin.With many years of experience in the industry Danny will be Project Managing for Maynards. We are pleased to announce that Maynards staff raised £94 from out Macmillan Coffee Morning on the 29th and 30th of September 2016. Our Leeds division moves in to their new office this week. As of 18th August we will be working out of a bigger office at Tadcaster Enterprise Park. Maynards Electrical Contractors are actively looking to recruit a new Project Manager to join our ever expanding team. We have recently finished our first project with Portview at Mappin & Webb on Regent Street in London. The Maynards Pink Army did a wonderful job on Sunday 3rd July of making mincemeat of the 5km Race for Life for Cancer Research UK. As we go in to the second half of 2016 we are getting ready for a busy time ahead. We have recently completed the new Mappin & Webb store on Regent Street in association with Portview. Maynards would like to welcome Greg Broom to our ever expanding young team. Maynards is proud to announce that we are due to start work on the new Mappin & Webb store located on Regents Street. We have recently finished working on the new Gymbox venue in London Victoria – just a stones throw away from Victoria Station. We have recently finished working on the new Mulberry store in Westfield Shopping Centre, White City (Shepherd’s Bush). The end of this week sees the completion of two large contracts for Maynards; Gymbox, a new brand of gyms to hit the UK. Our emails, and any attachments, are deemed confidential and are for the use of the intended recipient(s) only. Unauthorised use, disclosure or copying is strictly prohibited and may be unlawful. If you receive a message in error please notify us and remove it from your system. are virus free, and no responsibility is accepted by Maynards for any loss or damage arising from the receipt or use thereof. Copyright © Maynards Electrical Contractors. All Rights Reserved.